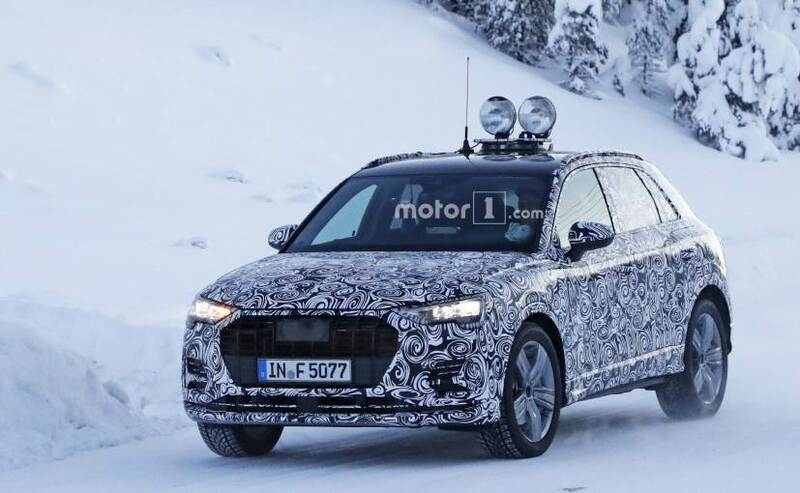 The latest test mule seen in these images is likely to be a lower-spec model of the new-gen Audi Q3, courtesy of the regular halogen headlamps instead of LED units. The new-gen Audi Q3 SUV is built on the company's versatile MQB platform and will be bigger in dimensions compared to the outgoing model. 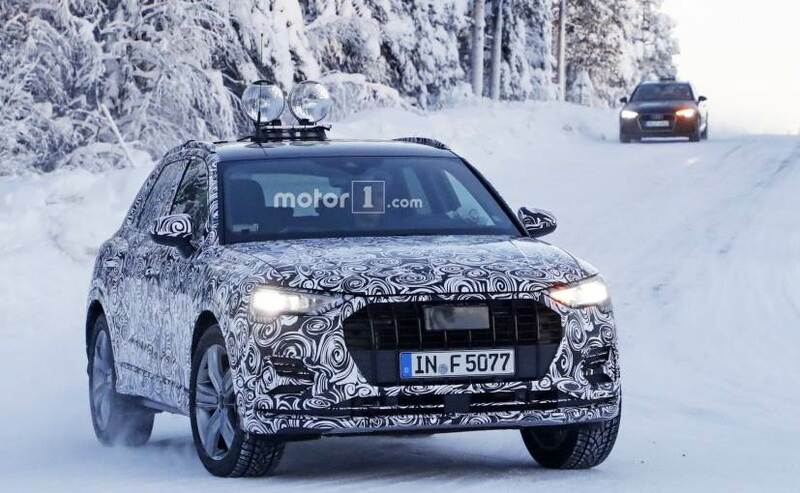 A new prototype model of the upcoming next-generation Audi Q3 SUV has been spotted undergoing cold weather testing. This time around we have come across spy images of what appears to be a lower-spec model of the new Audi Q3, as the test mule is seen sporting halogen headlamps with the conventional, integrated turn signal indicators, instead of the new sweeping LED turn signals. To facilitate testing the model in such harsh conditions with low visibility, the test mule is seen sporting auxiliary lights as well. 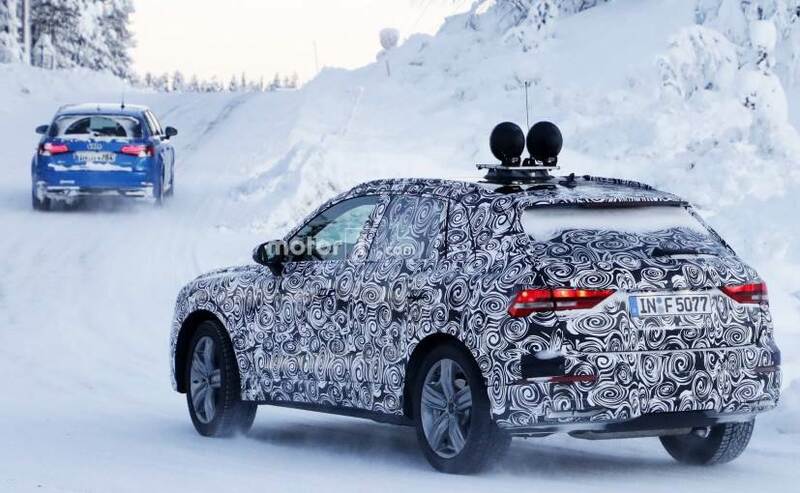 The latest test mule of the 2019 Audi Q3 was seen testing along with the top-spec version of the car that was spotted last time, which could mean that the Ingolstadt-based carmaker is finally getting ready to bring out the production model soon. 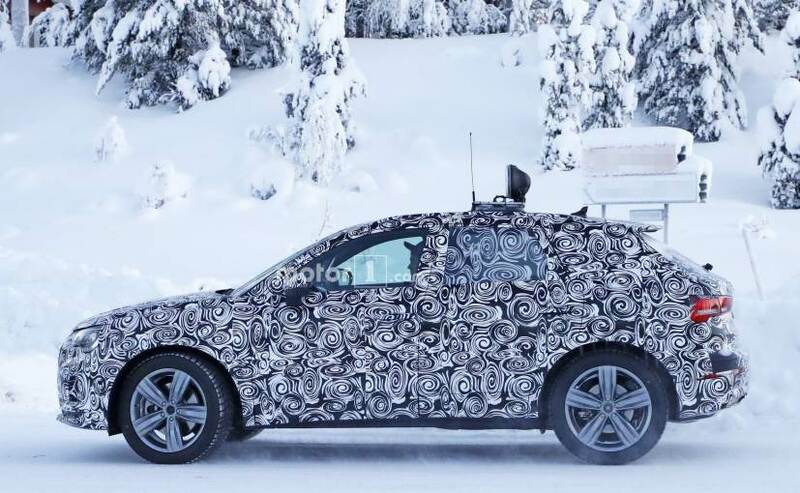 The test mules are still heavily covered a camouflage so we do not know what kind of styling upgrades the new Q3 will get, but considering the Q2 is already out in several global markets, the new Audi Q3 will be bigger than the outgoing one. The new Audi Q3 is based on the company's versatile MQB platform. Visually, the SUV will come with Audi's new signature single-frame grille, flanked by a pair of sharp LED headlamps, new stylish alloy wheels and sharp-looking LED taillamps with sweeping LED turn signals. While we still haven't got a look at the cabin, the new Audi Q3's interior is also supposed to come with a major overhaul with the company's latest gizmos and more. Powertrain options and other technical specifications are still unknown, but the new Audi Q3 will offer a range of three- and four-cylinder turbocharged engines. This included - the 1.5-liter and 2.0-liter TSI petrol engines and the tried and tested 2.0 TDI as well. The new 150 bhp 1.4-litre TFSI petrol engine that currently does duty in the Audi A4 is also likely to be a part of the package.